The Madness of March can be entirely thrilling and disappointing all in the span of a few weeks depending on how your bracket plays out. Thankfully, with our Youth Ministry Madness, you’ve got another chance to get your win! This month has been a blast having our youth ministry community make their voices heard. We have seen 32 youth ministry clichés, challenges, oops, and tips face off for the top spots in the Final Four! Some of them won with leaps and bounds and other match-ups have been tight, but all teams played valiantly. Meanwhile, we have been waiting for the final results with a mix of humor and anticipation! Here are some of our insights as we await your last votes. One of the crowd favorites so far has been, “So Many T-Shirts” and we get why. Anyone who was a youth ministry participant or has worked in the field can relate to a dresser drawer bursting with church event T-shirts. Who doesn’t enjoy an adorable cotton-poly-blend-three-color-screen-printed-tee to match your buddies with? 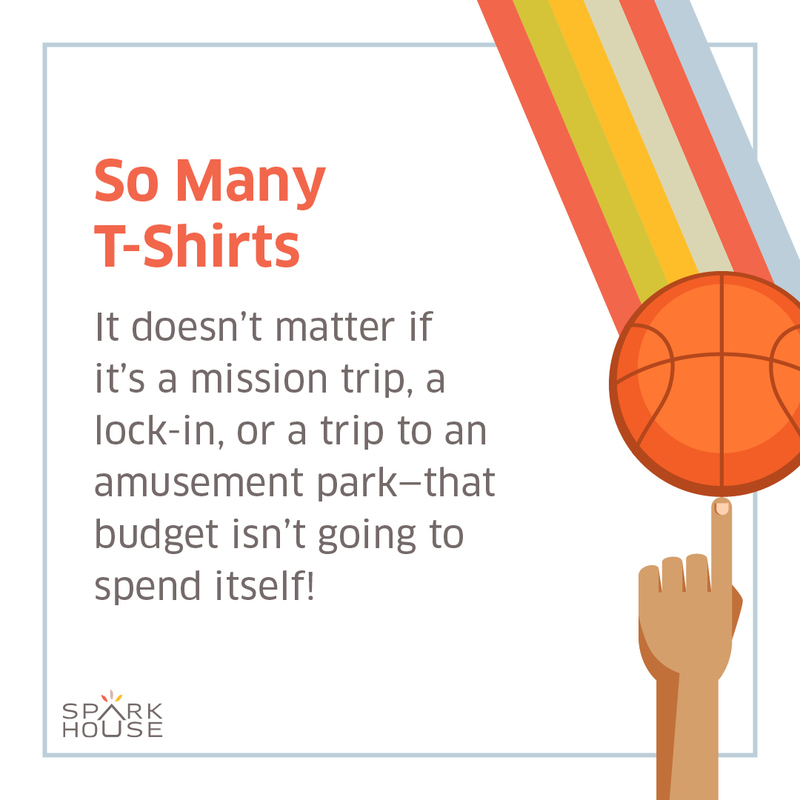 When your budget needs to be spent there is no better way to get those funds out the door than some community building shirts! Rising from the bottom, “What Did They Say?” beat out the panicked, “Did We Need Those?” in the Youth Ministry Oops. Truly, what could be worse than forgetting the youth outing tickets at home once arriving at the event? 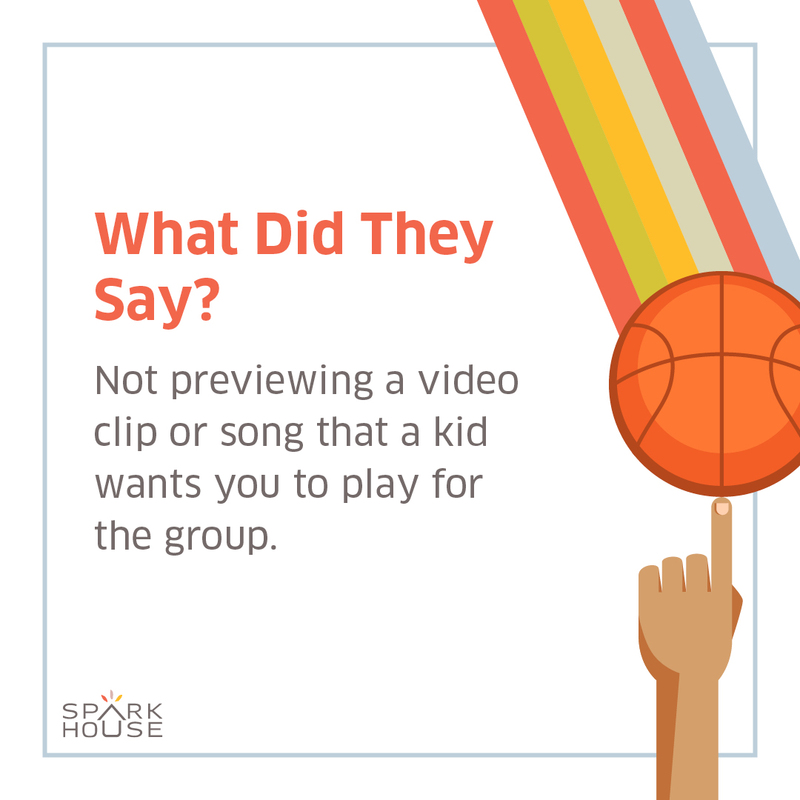 Well, according to the votes and the potential horror, forgetting to preview a video before showing it in front of the entire youth group is the pick. “What Did They Say?” for the win. Let’s see if, “What Did They Say?” can stand up against the painfully true, “Other Duties as Assigned” part of the youth ministry job description. You know, the times where the floors are not going to vacuum themselves. Sigh. Watch closely and make sure to put in your votes as the final four of Youth Ministry Madness face off for the championships. Today is your last day to vote so make it happen here now!